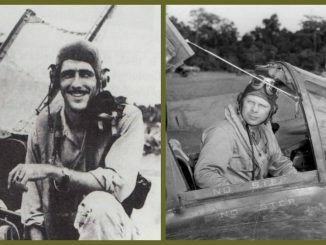 The crew of the B-29 "Monsoon Minnie: Oglesby, top row, third from left. From a special article in the New York Times on December 15, 1944: “Big strike on railroad marshaling yards in Rangoon by B-29 bombers cause devastating results. No B-29s were lost.” The ‘devastating big strike’ mentioned in the New York Times’ headline article actually took place on December 14th. 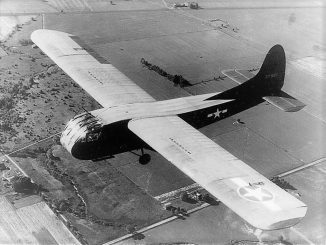 The primary target was the Japanese single track railroad system running through Thailand, Laos, Cambodia, and Vietnam, a railroad made famous in the 1957 film “The Bridge on the River Kwai.” Unfortunately, the B-29s were prevented from attacking the bridge due to thick cloud cover over the target. The airmen on the big bombers were duty-bound to pursue their secondary target, Rangoon. 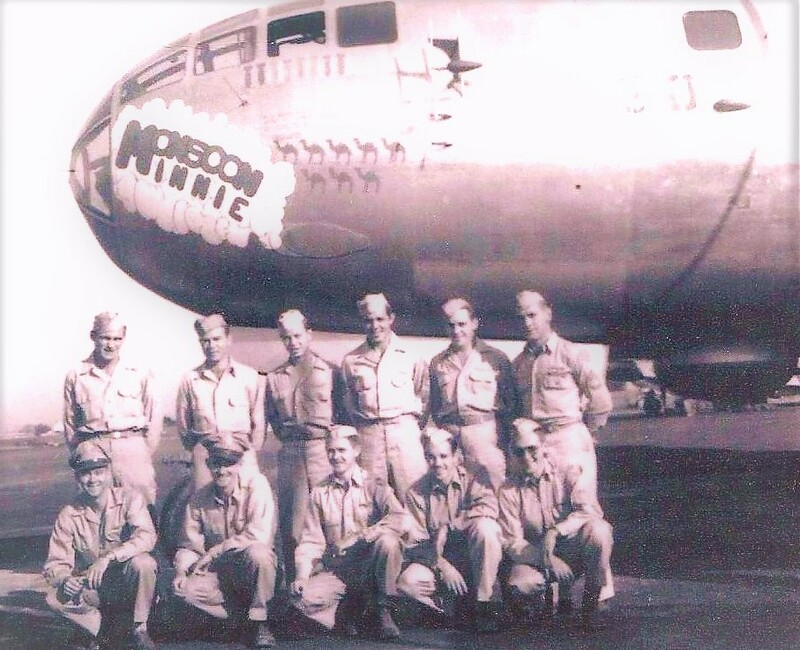 The crew of the B-29 “Monsoon Minnie: Oglesby, top row, third from left. 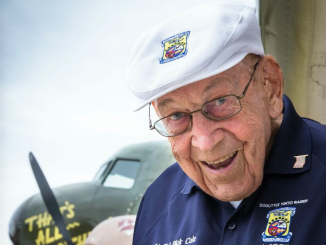 The pilot, Captain Robert Shanks, realized he had lost the fight to keep the crippled B-29 airborne. 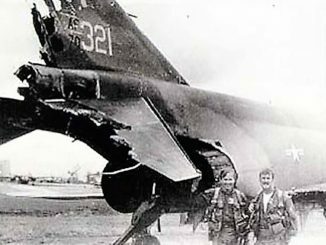 Losing altitude and already below 6,000 feet, he finally ordered his crew to “hit the silk” over enemy-held Burmese territory. 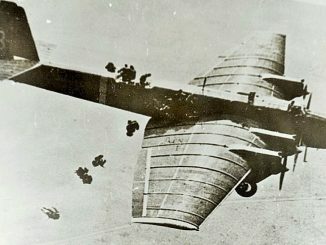 Oglesby decided to free-fall as long as possible, fully aware the Japanese had a tendency to fire at hapless allied airmen parachuting to earth. 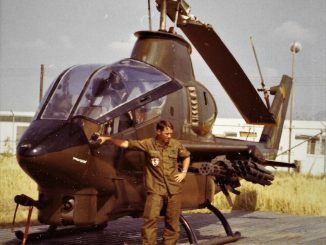 Oglesby recalled, “I fell until I saw a hut then pulled the ripcord. I landed near a Burmese gentleman who was just as startled as I was. I gave him my chute as a peace offering.” Two other crew members showed up. The old Burmese man led the 3 flyboys to a nearby village where they were given food and water. The Japanese arrived around midnight. 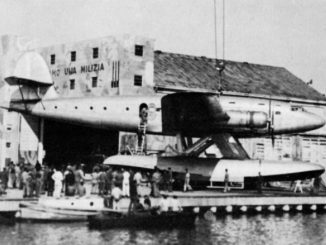 They roughed up the 3 flyboys then hustled them into a small boat for a river crossing. Incredibly, the entire crew was reunited for a miserable ten day trip via river launch, sampan, car, truck, railroad, then marched into Rangoon as POWs. Christmas Day, 1944 – Oglesby and his crew are imprisoned in a penitentiary-like structure. A Japanese officer, handsome and unusually tall, told the crew, “I am also an American. I was in Japan visiting my parents when war broke out so I was forced to serve with the Japanese. I am with you 100%. I’m a graduate of UCLA and I will take care of you. I will make them serve you breakfast.” The boys were served scrambled eggs, bacon, and biscuits. The Americans couldn’t believe they were feasting on such a marvelous breakfast but they also knew not to believe the Japanese officer’s poppycock manipulation tactics. Later under intensive interrogation, Oglesby said of the ordeal, “If they didn’t like what we said they’d beat us and batter our heads. They demanded to know all we knew about the B-29. Shoot, we decided to tell them. We told the Japs a B-29 could fly above 60,000 feet, fly at 600 mph, and carry a 60,000 pound bomb load. 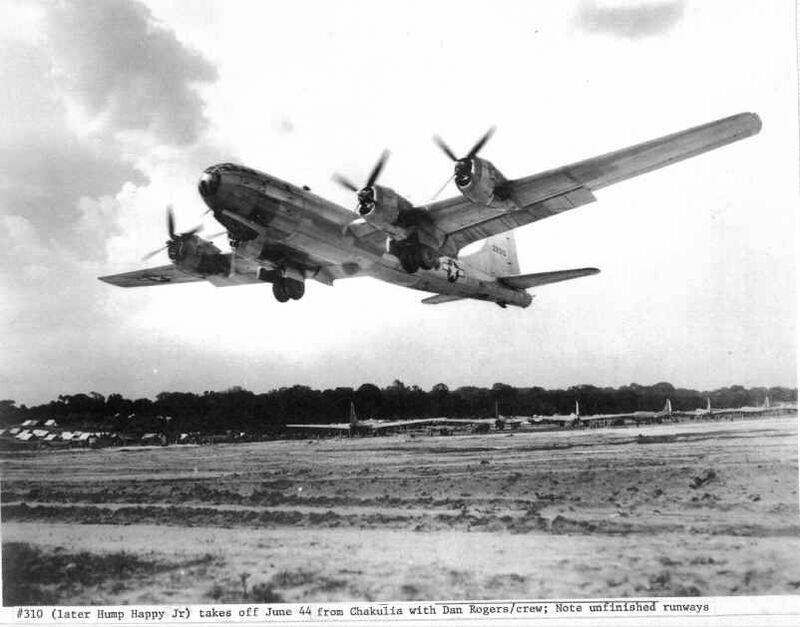 They were so happy with the new information they gave us cigarettes.” (A B-29 had a service ceiling of 31,800 feet with a top speed of 358 mph and carried a 20,000 pound bomb load, maximum). American flyboys, you got to love them. 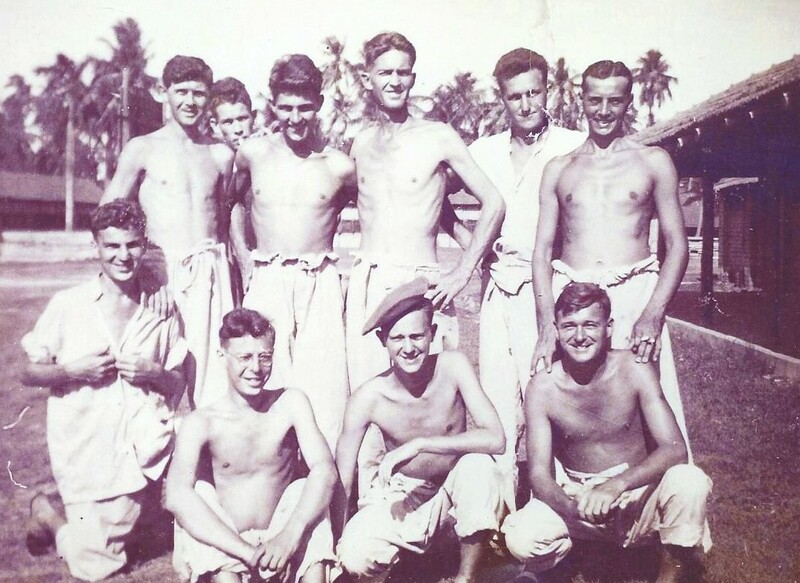 At Calcutta Hospital – Ex-POW Oglesby is in front, bottom row 2nd from left, wearing glasses. Something else also kept Oglesby’s crew alive: Nukazuke. He explained, “They fed us nuka and rice with an occasional piece of meat or vegetable, but it was nuka that kept us alive.” Nuka is made from corn husks, bitter to the taste, but nonetheless very nutritious. Of the 100 prisoners in Compound #5 only one POW died – he refused to eat the nuka. The POWs were first marched north to Mandalay then turned southward towards Singapore. But the Japanese were getting nervous: British troops were searching the area less than ten miles away. Unexpectedly, instead of the anticipated cruelty experienced by most Allied POWs throughout the Pacific, the Japanese handed over a document to a captured British officer which gave him custody of all the prisoners so the Japanese could make good their escape. That’s a very interesting and inspiring story. 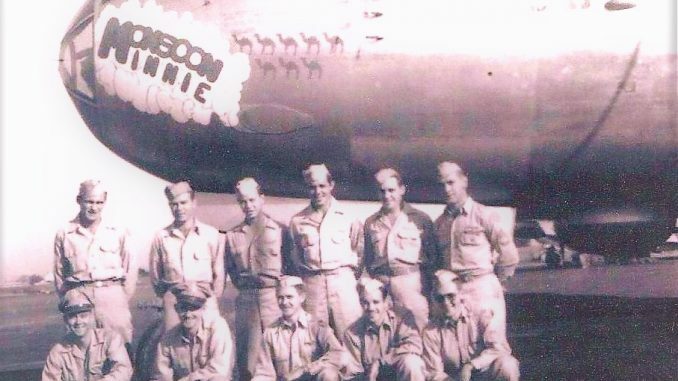 Does anyone know the serial number of the B-29 named ‘Monsoon Minnie’ that appears in the narrative? 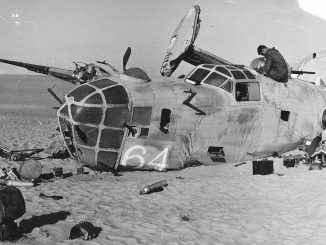 Presumably of the 40th BG?